With clean rectilinear lines and a square profile, the Silverado picture frame is ideal for most modern decor needs. This modern silver picture frame features lightweight, yet sturdy, polystyrene construction. 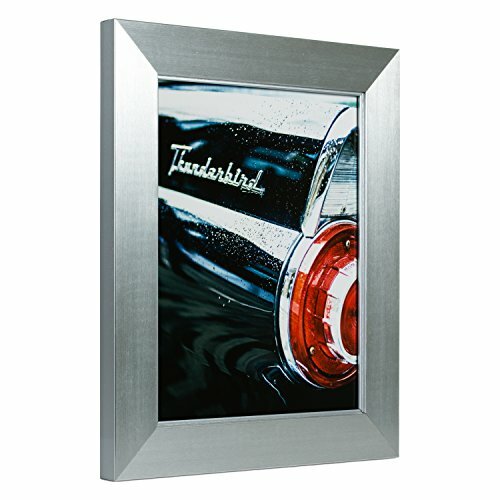 This sleek 1.5" wide picture frame comes finished with a brushed stainless silver appearance. With some Smooth White matting you can elevate your prints to the next level. Sharp and bold, the Silverado picture frame is a perfect touch of modern.